There is fantastic news about Google Photos. With Event Gallery 3.10 they'll work even after January 2019. The process of getting Google Photos is slightly more complicated, but I made a tutorial video to get you started. Check the article for limitations and implementation details. A couple of years ago Google started Picasa Web Albums. A great place to upload your photos and make them available on the internet. By providing an API, getting data directly from the Google servers has been possible. The API was pretty straightforward, and it was more or less comfortable to show Picasa Albums on any website. Then they introduced Google+ and Google Photos. But the Picasa Web API remained working. We all know that we need to take care about data privacy stuff until 25th of May. That is right for my website, too. But I also need to make sure Event Gallery is covered and help you to get compliant. The next release will add a new chapter in the manual which describes, how Event Gallery collects data. Also, there will be some changes codewise. Right now there are a couple of external scripts loaded. Even if this is in the backend, I remove them to avoid that somebody has to deal with that. Using just the main component of Event Gallery might get boring. So what should you do? Why not using Event Gallery as your personal image server? Just add images to your articles. It is as easy as this. Just have a look at the video below. Event Gallery is more than just a gallery component. Besides the fact that you can sell images, you can use it to manage your image content. Upload your image and insert them into an article. Event Gallery will take care of scaling the images to the right format and offers the lightbox out of the box. Adding simple thumbnails is one thing you can do. Having a full gallery in an article is possible as well. If you need just a bunch of images to tease your stuff and want to show the rest of the photos in a lightbox: that is possible! With the content plugin of Event Gallery you can do a lot of magic stuff. Backpacks! There are so many of them out there. But which on to choose? 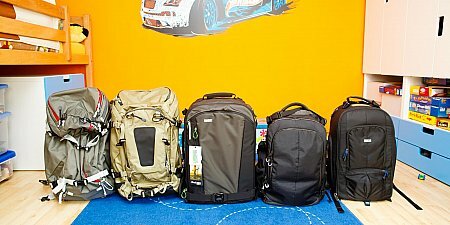 I think I found the best backpack for camera gear. At least for me. Actually, I think this every time I buy one. Anyways, let's have a look at those awesome camera gear eating monsters. Time for a gear review! It recently didn't buy so many interesting things. But there is one thing I want to show you. I got myself a Dj Techtools P554-1 Midi Fighter Twister. 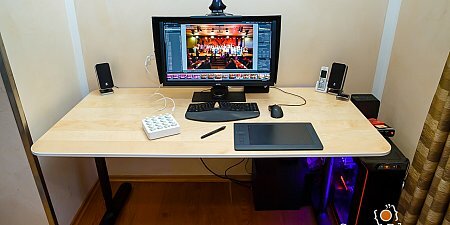 It is a MIDI controller which can be used to control Lightroom. It's a big time saver so jump right into the article to learn more. This weekend Google switched off the option to modify any album using their Picasa API. The tool I provided basically stopped working from on day to another. You can't switch the visibility of an album. Does this mean you can't use new albums with Event Gallery? No! It still works. It just requires you to perform one more step. You need to allow Event Gallery to access your album data. Afterwards you can even use those protected albums! This was not possible before. Let's see how long this works. If case you have a valid subscription you can already try it by getting the latest build from here Alpha Release. Update: Event Gallery 3.7.0 is available and can access protected Google albums.